Welcome to the community and thanks for posting! This may be an issue you want to discuss with your probation officer. You may not want to assume that you are not responsible for serving the time simply because your probation ended. Welcome to the community and thanks for posting. So sorry to hear about the attack against you and all that you have endured. If the police locate a suspect you can likely initiate a civil action against that person. In the meantime, you may want to speak with a worker's compensation attorney just be totally aware of your right since you were injured while attending a work training. It may be possible that worker's compensation might pay for your out-of-pocket expenses and lost wages. You can also speak with a civil attorney about initiating a lawsuit against Baltimore who can advise you about the likelihood of succeeding in a claim against the city. Best of luck with your case and keep us posted! Welcome to the community and thanks for posting! In a community property state, the inheritance should remain your separate property. However, be careful not to "comingle" these funds with any community property funds. Once you receive your inheritance, open a separate bank account in your name alone, and do not mix these inheritance funds with other funds. This will increase the likelihood that a court confirms the inheritance to you as your separate property. You may also want to speak with an experienced family law attorney. For a free consultation, click here. Welcome to the community and thanks for posting! Looks like LegalWriter was able to thoroughly answer your question! Let us know if you have additional questions for the community while you are researching for your book! Welcome to the community and thanks for posting! Looks like you've already gotten lots of good input from the community! Agreeing with the group, the description you describe does not sound much like a conflict of interest, which includes a public official's conflicts between private and public duties, or a conflict between competing duties. What you describe sounds more like a possible bias against you, which is an unreasoned judgment against one side in a dispute. As others have mentioned, this is an issue you should discuss with your public defender. If you feel your public defender is not serving you well, you can try to change public defenders, or speak with a private criminal defense attorney. Welcome to the community and thanks for posting! If the management company contracted with a plumber, it seems that they would be responsible for the payment, as they could not contract on your behalf (unless you have an agreement with the management company to this effect). Clearly the plumber needs to be paid for his time, and if neither you nor the management company pays him, you risk being named in a lawsuit. It sounds like it may be beneficial for you to talk to the management company about giving you advanced notice of any repair requests, so that in the future you can weigh in on whether a plumber is necessary. You may also want to ask your tenant to contact you about repairs, not the management company. Welcome to the community and thanks for posting! Sorry to hear about your situation. If you believe that you are being improperly denied reasonable accommodations, or have been discriminated against due to your disability, then you may want to speak with the Equal Employment Opportunity Commission, or speak with a local employment attorney. Welcome to the community and thanks for posting! Do you know what court this lawsuit was filed in? If so, you can go to the court's online website, or visit the court clerk's office and ask to pull the file. Often class action cases can take a long time to litigate -- even years. Pursuant to California law, a party can move to dismiss a case if it is not brought to trial within a certain number of years, however, there are many exceptions to this rule. Welcome and thanks for posting! Are you working with a family law attorney? If not, it might be helpful to confer with one and have your documents reviewed. For a free consultation with a family law attorney, click here. Are You Entitled to a Court-Appointed Attorney? Do I Have a Right to a Public Defender? Welcome to the community and thanks for posting! As Tax_Counsel mentioned, you may want to speak with a California real estate and/or tax attorney to discuss your tax obligations in the United States before you buy any property. 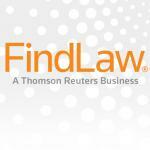 To find California attorneys, you can use the FindLaw Lawyer Directory. You may be able to challenge or remove the executor if he/she is not properly executing the will. You may want to consult with an experienced estate planning attorney to find out your chances of success if you file such a motion. Check out this article about bringing criminal charges against someone. However, given that this involves the military, a separate body of law will apply and you will want to consult with a military attorney. Welcome to the community and thanks for posting your question! As others have mentioned, the impact of the officer's behavior on your case will depend on his specific misdeeds. Certain evidence can be excluded when illegally obtained pursuant to the Fourth Amendment. If certain critical evidence is deemed inadmissible, the state may be forced to dismiss your case for lack of evidence. If you can provide us with more context, the community may be able to provide further direction. Welcome to the community and thanks for posting! So sorry to hear about your situation. Looks like you've already gotten some great input from the community! As others have mentioned, you may want to discuss the situation with an experienced attorney to find out if you have a case for fraud or any other action. As LegalWriter mentioned, you must formally serve your ex with the motion after it's filed. It's up to you if you want to also present your ex with the motion before filing. However, a hearing will not be scheduled until several weeks out, so you will have time to negotiate a settlement in advance of your court date. Sometimes, it is a motivating factor to have the court date set. @chuckyg23 Because restitution began being being collected while you were incarcerated, likely it was as of your first day prison. The terms of your restitution should be set forth in your plea agreement or sentencing order. @Shelbi2016 You are most welcome. Let us know if you have additional questions. A few issues which may interest you: (1) testamentary capacity, and (2) undue influence. You may want to discuss these issues as they pertain to your case with an experienced trust and estate attorney. Welcome and thanks for posting. Sorry to hear about your negative experience with your attorney, and the fees lawsuit. Legalwriter has given you some great input. You can download judicial council forms from the California courts website. Legalwriter is also correct that you have 30 days from the service date, not the filing date to file an answer. You should have been served with a summons, and the first line in the box on the front states "You have 30 CALENDAR DAYS after this summons and legal papers are served on you to file a written response at this court and have a copy served on the plaintiff." According to your post, the date of service is September 14, 2016. Check out this link about the fee arbitration program offered through the California courts. As you mentioned in your post, your attorney should have provided you with notice of this program (perhaps along with a previous demand letter?). If it is still available to you, fee arbitration can be a good way to work out an agreement without having to go to court against your former lawyer. Search and Seizure and the Fourth Amendment The Fourth Amendment Reasonableness Requirement What Is Stop-and-Frisk? Is It Ever Legal? Welcome to the community thanks for posting. Your posts are quite dense (paragraph breaks might help). A few clarifying questions to confirm: Your mother is still alive and you need to address a new will she signed 3 years ago while you believe she was incompetent? Also, you cannot afford an attorney? Or you are currently working with counsel? While hiring an attorney can be a significant financial burden, in situations like yours it can be very difficult to proceed without the assistance of counsel, especially if there is an attorney on the other side of the case. Thanks for your question! The responses from our community have pointed you towards the statutes regarding child support, and the authority for the DA to collect. As you mentioned in your post, the State of California takes non-payment of child support very seriously. Failure to pay child support can lead to wage garnishment, real property liens, suspension of driver's license, and contempt charges. Part of the reason for this is the public policy behind child support. It is for the benefit of minor children, so the state will go to great lengths to ensure that children are adequately supported by both of their parents (and both parents have an obligation to financially support their children). However, also, every child support order is just that -- a court order. Violation of court orders can lead to contempt charges, which may result in civil or criminal fines.